HDR options are one of the best advancements in video game visuals in recent years, making for richer scenes than just 4K resolution alone can deliver. But not all HDR is created equally, which is something that PS4 Pro and Xbox One X rivals Sony and Microsoft are looking to change. In a rare show of solidarity, the two have formed the new HDR Gaming Interest Group (HGIG), which looks to improve the HDR experience for gamers across platforms and hardware. 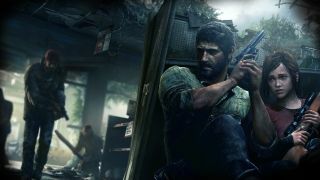 Essentially, the group recognises that each HDR TV panel performs differently, to such an extent that it could potentially give gamers an advantage over each other. For instance, it points to an example where the different performance of HDR screens in a racing game could give one driver the advantage of being able to see which direction a turn from a tunnel is about to take. ”HDR Gaming Interest Group, with participation of leading companies from the entertainment, game and TV industries, analyzed issues behind the negative reactions from consumers about HDR games and recommend the guidelines for HDR game production,” reads a co-written statement from Sony and Microsoft. LG and Vizio are among the first manufacturers to join the cause, with a mixture of hardware partners such as Samsung, Panasonic and Philips, along with dev teams at Ubisoft, EA and Activision also expressing an interest in getting involved.